You are facing a bad phase in your life, financial crises and no one to your rescue. You cannot wait for bank loans when there is urgent money requirement. In such situation your jewellery can help you. As we know that gold silver jewels are not just women’s best friend, even investors love these beautiful expensive metals. They are one of the most popular sources of investment. You can Sell Your Silver Jewellery in exchange of money. Now the question raises where to sell your silver jewellery because you cannot sell your expensive metal to anyone without knowing anything about the market and dealing procedure of selling silver jewellery. In such frame Cash for Gold, is the perfect picture for selling silver jewellery in Delhi NCR region. Here in Cash for gold, we provide you best price for your silver jewellery. We have trained and experienced staff to perform evaluation process of you asset and our evaluation methods are recognized by international market. We evaluate the value and price of your asset and try to deliver you money as soon as possible after completing evaluation process, evaluation process is conducted in presence of our customers as we believe in transparency. Our first motive is customer satisfaction, that’s why we keep data and details of our customers private. We understand your concern for your jewellery so we provide free assessment for our customer through phone calls or they can visit our nearest Cash for Gold outlet. 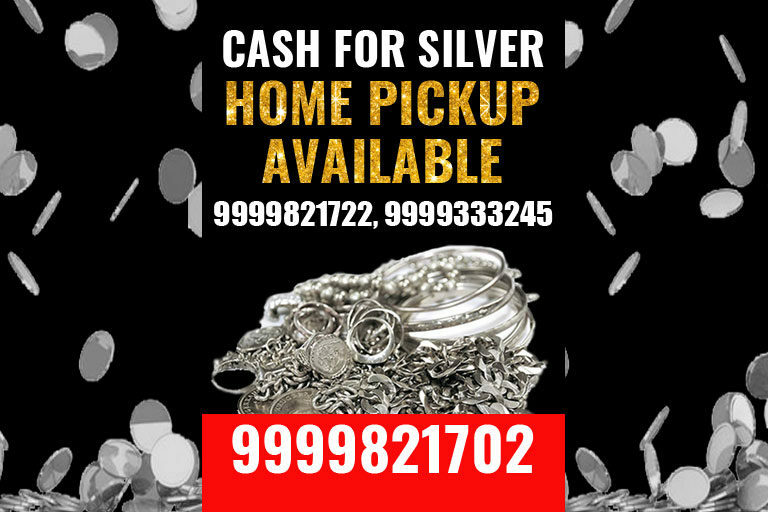 If you are looking for perfect place to sell your silver jewellery, you can visit our Cash for Gold shop in Delhi NCR. « How to Find Silver Coin and Bars Buyers Near Me?